Date: Apr 21 2019, 7 p.m. 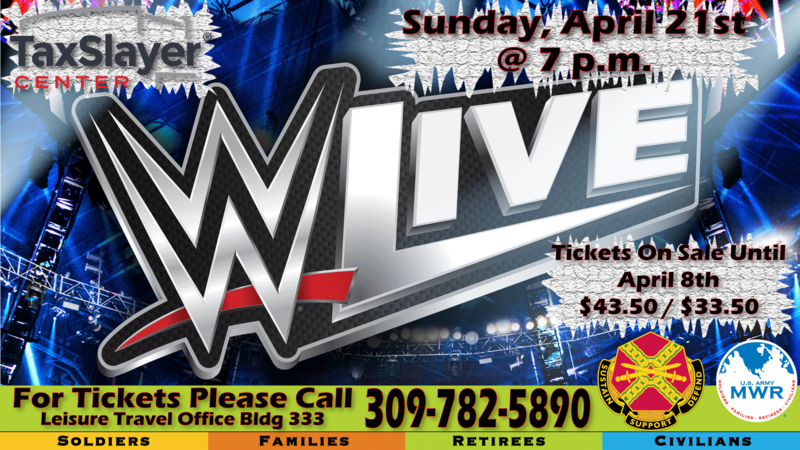 Leisure Travel has discount tickets to see your WWE superstar favorites battle it out in the ring. Tickets are on sale through April 8th for $33.50 & $43.50 each. For more info and to book your seats, call +1(309) 782-5890.